The idea of running your own business has an obvious appeal. Having the chance to be your own boss and run things according to your own interests and goals makes sense. While many may choose to find a partner, or at least aim to hire help, there are those who choose to go it alone. According to the Small Business Association, there are approximately 28 million small businesses in the US. 79.9%, or a little over 22 million, are considered “nonemployers”, those with no payroll or employees. You will find some additional statistics on the different types of Small Businesses here. However, there are issues unique to the Soloprenuer that are not present when you have others to lighten the load. Many times new entrepreneurs are afraid to “go it alone”. I was the same. When I originally started my company, I had two other partners. Then, in 2004, I went solo. This was undoubtedly the best decision I could have made. I now had the freedom to take the business in the direction I wanted to go without answering to anyone else. If you are thinking of running your own Small Business of One, then it is best to go into it with your eyes wide open. Most importantly, you need to recognize the challenges of running a Small Business solo and then plan, as much as it is possible to plan, for how you can best deal with them. Choose the Right Business Structure - Finding a good accountant/tax professional at this juncture can really help. They will guide you in deciding what kind of business would be best for your circumstances (corporations, sole proprietorship, S or C corporations). Some choices carry with them more personal liability than others. Have a Clear Business Plan - While this is important for any type of business, when you are alone it has added value. When you have a well thought out plan that truly speaks to the type of business you want to run, it will help keep you on track. Set up a Working Home Office - This can be anything from a nook, to an extra room dedicated to your business. Or, like me, it can even be a roving backpack! Since I travel at least a couple times a month, I have learned to consolidate most of what I need into one backpack (although I do have a cabinet at home that serves as storage). Time is Your Most Valuable Asset - Many business owners don’t realize this enough, and when you are running it alone, it is even more crucial. You need to understand that your time and focus must be on what can bring you business, like marketing and driving sales. Outsourcing is Your Friend - When you are the only employee of your business, you may think that you have to do everything on your own. In fact, it is really in your best interests to outsource those tasks that you are not good at or simply don’t want to do. For example, I have always used an accountant to do my business taxes. I knew that this was not my strong suit, so my money was better spent in hiring someone that really knew what they were doing. Connect (in person or online) - Loneliness is often one of the parts of being a solopreneur that you don’t plan for. If you are not careful, you can find yourself cut off. But you can find ways to offset this. Get out there and join local groups and schedule lunches or coffee meetings. If that is not possible, be sure to forge some strong online connections that you can chat with or even to vent! Create Your Own “Board of Directors” - It is a good idea for you to gather a group of colleagues and advisers. They can be invaluable to bounce ideas off of or to serve as a sanity check. I found a local networking group to do just that. We act as each other’s “board of directors”, champions, and promoters! We meet once a month to learn from each other, talk about some of our current challenges, and to get feedback on when we need it. Running a Small Business of One isn't for the easily distracted. To manage your limited amount of time effectively, you have to be disciplined in getting done what needs to be done. That is why it also more important than ever to be organized (and this is definitely NOT my strong suit in my personal life). Be sure to keep track of all work progress, be constantly aware of your money flow, and invoice quickly! Finances/Taxes - Be sure to keep your personal and business finances separate. Accounting software can help you keep track of your expenses and give you a jump start on tax time. Marketing - Your biggest challenge will be finding the time and resources to generate new business and market yourself. If you are not careful, you will find yourself spending too much time generating and sharing quality content and reaching out to current and potential customers. I found these 7 really easy to ups apps and sites to help me. Check them out here! Take Care of Yourself - Doing that can become one of the more difficult parts of running a business alone. The dividing line between work and play can often become blurred when you run your own business, particularly if it's home-based. 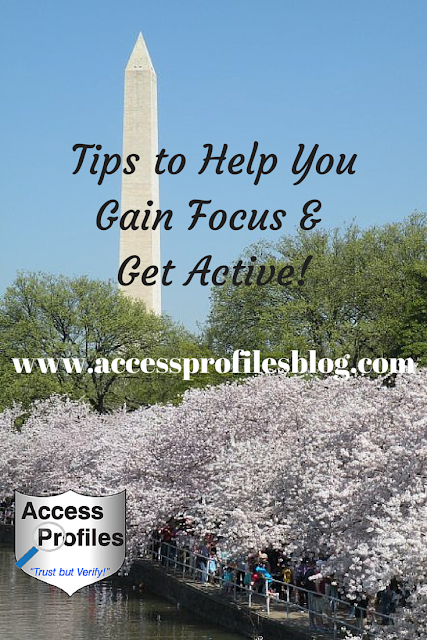 You will find some easy ways to do this in my article on taking “active breaks”. Remember, you are the most valuable asset of your business so you can’t forget to take care of you! There is no doubt that when you run your business of one, you have everything on your own plate. And that can be both daunting and exhilarating! I understand. I celebrated the 10th anniversary of running my own business of one in 2014 and it has been a wild and crazy ride. But, I wouldn’t have it any other way. So my advice? Don’t let fear hold you back from accepting the challenge. Just go in with your eyes as wide open as possible and you will find that you are glad you dove in! I know I am! Please Pay it Forward and Pass this On. Leave a comment too, I would love to hear from you! 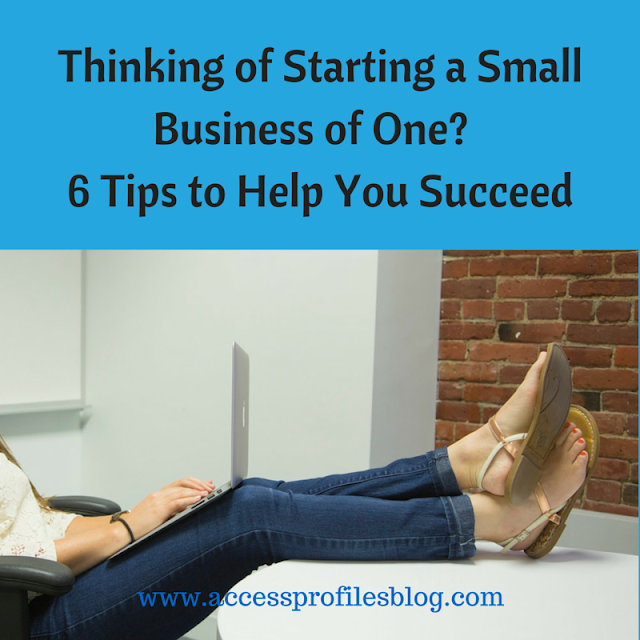 Visit Me for more tips on running your own Small Business! I would love to help! And find out more about what I do here! page for answers to Your Small Business and Hiring questions! Can we ever truly achieve balance between our work and personal lives? 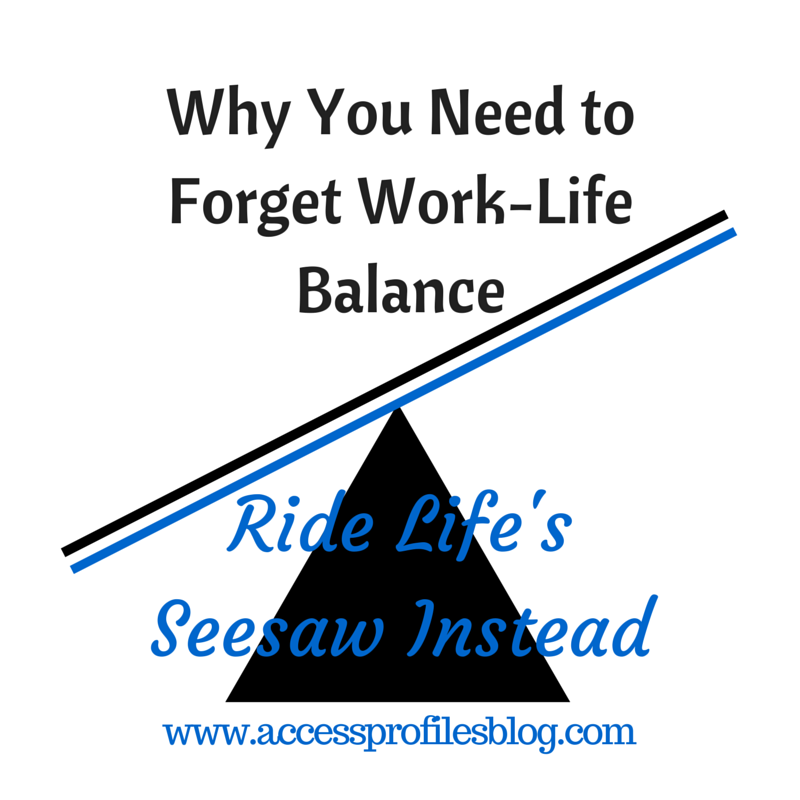 In theory, the idea of “work-life balance” seems to make sense. Evenly dividing our time between our jobs and our personal time should give us the best of both worlds. However, I believe that trying to achieve that “balance” causes us more angst than it should. We are constantly being bombarded with advice on how we can and why we should bring balance to our lives. And when we aren’t able to achieve it, we feel guilty. We worry we are spending too much time at work and neglecting our families. Or we worry that taking time for ourselves means we are not dedicated to our jobs. We are in a classic “Catch 22”! And I believe that the use of the word “balance” is the problem. The reality is that, at any given time, one or the other will pull on our time and resources. There will be days, or sometimes even weeks, where either our work or personal obligations needs to take precedence. “a state in which different things occur in equal or proper amounts or have an equal or proper amount of importance”. Instead of placing importance on the word “equal”, we should focus on the word “proper”. Giving something our “proper” time and energy means that we are doing what is appropriate given the situation. That is why I believe that Our Lives are more like a Seesaw than something we can ever hope to balance! Think about the times you have ridden a seesaw. I remember that at our neighborhood playground, my friends and I would often make a game out of trying to “balance” the seesaw. We would all carefully sit on either side, attempting to find the right mix to keep the seesaw level. And yes, we would often win our battle for a moment. But then, inevitably, one side would drop and the balance we had won would be lost. The seesaw would once again do what it was designed to do, continually rock up and down, sometimes falling hard to one side or the other. The sides of a seesaw are much like the different sides of our life, our work life and our personal life. The weight of each side is capable of changing in an instant according to the demands placed on us. For example, we may have an urgent project at work that requires us to put aside everything else to complete. Or we may have a sick child, spouse, or parent that needs our attention. Whatever the case may be, it is natural to place our focus squarely on who or what needs us at that time. This means setting our priorities based on our circumstances. If doing your best means you have to work a 10 hour day to get a major project done, then that is what you have to do. Just make sure that when your project is complete, you swing your seesaw to the other side, giving the other part of your life the energy it deserves. Will your seesaw ever really be balanced? It is doubtful. And you shouldn’t feel guilty because of it. You need to recognize that striving for “balance” is nothing but a losing battle. Instead, we should all place our focus on who or what needs us the most now, and be satisfied with giving whatever we can to the rest. Being able to roll with it as our seesaw rocks should really be our goal. Defining for ourselves the kind of life we want to live, and not allowing others to do that for us, is the ultimate freedom. Creating a blend that works will make us a lot happier in the long run. And remember, the real fun of being on a seesaw is the up and down ride ~ so go out and enjoy it! Please Pay it Forward and Pass this on! And I would love to hear what you think, so leave a comment! Thanks! You can learn more about me and what I do on my site. Check it out! Let’s Connect! 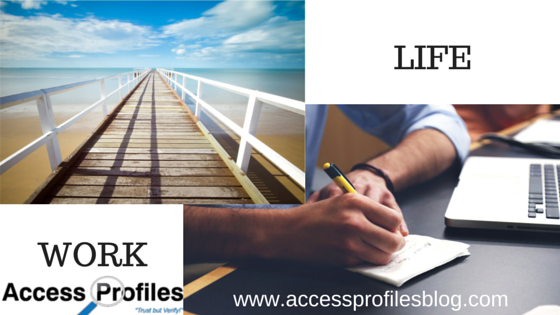 Find links to Facebook, Twitter, LinkedIn & more here! We all know the value of the “Personal Touch”. We use it as a way to really connect with others. The very best of these relationships develop into a real two way street. Most importantly, the “Personal Touch” is all about the way we make those around us feel. It is how we make sure they know they are important to us and that we value them. This is not only essential in our personal lives, but also in our Small Business. However, the reality of the world we live in is that we don’t always meet our customers or clients, at least not face-to-face. Truthfully, there are many people I currently do business with that I have never met. These clients have found me online and have used my services all without ever having met me in person. In addition, there are even more business connections that I have conversed with on sites like Facebook, LinkedIn, and Twitter. Do I value these connections? Yes, most Definitely! Do I wish I could have the chance to meet them “in person”? I would have to answer YES to that too! There are benefits to seeing someone face-to-face that are hard to duplicate. When you meet someone in person, you are given the chance to “read” them. Their eye contact, facial expressions, even the way they stand or cross their arms send out strong signals. These are real clues as to what they are thinking. And when it comes to business, there is no doubt that there are even more benefits to meeting face-to-face. You can discover more about the Business Benefits of "Face-to-Face" here!! 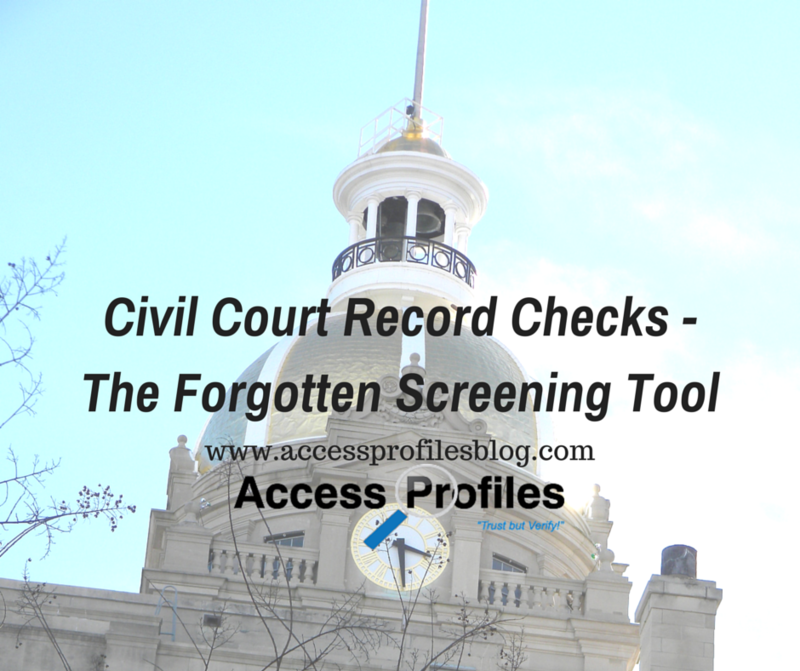 So what can you do if meeting your clients “face-to-face” is NOT a reality? Can you still gain some of these benefits in your online working relationships without it? 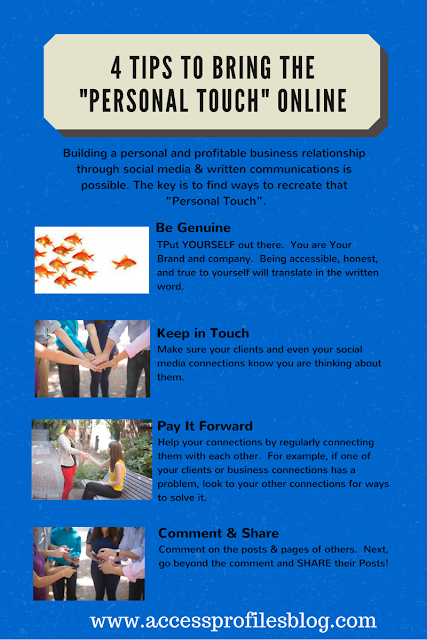 Building a personal and profitable business relationship solely through social media and written communications may be hard, but it is possible. The key is to find ways to recreate that “Personal Touch”. 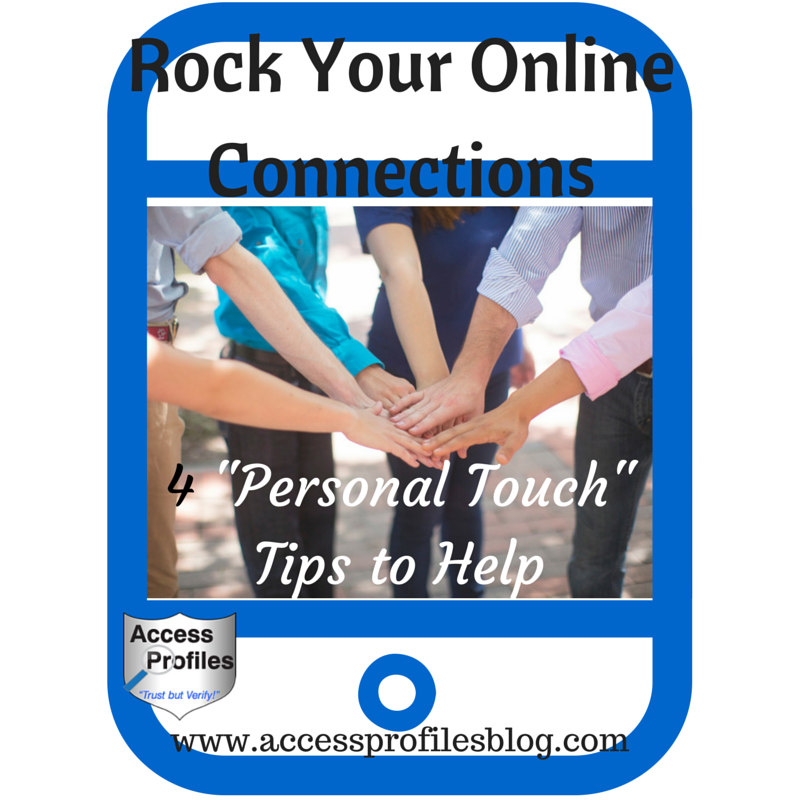 4 Tips to Help You Build that "Personal" Relationship with Your Online Connections! This is Number 1 in my book! And absolutely the best way to do it is to put YOURSELF out there. You are Your Brand and company. Being accessible, honest, and true to yourself will translate in the written word. Through email or messaging, make sure your clients and even your social media connections know you are thinking about them. You can do this by sharing some relevant content that will help them or simply dropping a quick note to check in. And don’t be afraid to pick up the phone! Either way, the important thing is to stay in touch and make sure they know you care. Help your connections by regularly connecting them with each other. For example, if one of your clients or business connections has a problem, look to your other connections for ways to solve it. They will thank you and you will go a long way towards building a stronger and more close knit relationship. You can find out more about how to “Pay it Forward” online here. Go beyond the “like” and comment on the posts and pages of others. Let them know what you thought, good or bad. Simply opening up that give and take is what matters. Just make sure that your interest and thoughtfulness shine through! You can also Share their posts. This is a step beyond simply leaving a comment. Any author will appreciate you sharing their work! And you will find that it elevates your connection to a new level. As a blog writer myself, believe me, they will thank you for it. Remember, you can get beyond a simple online connection and really engage. All it takes is some work on your part and a focus on the “Personal Touch”. And I believe the extra effort is worth it. Good Luck! Please leave a comment and let me know what you think! We would love to hear from you! the next level? Contact Us!